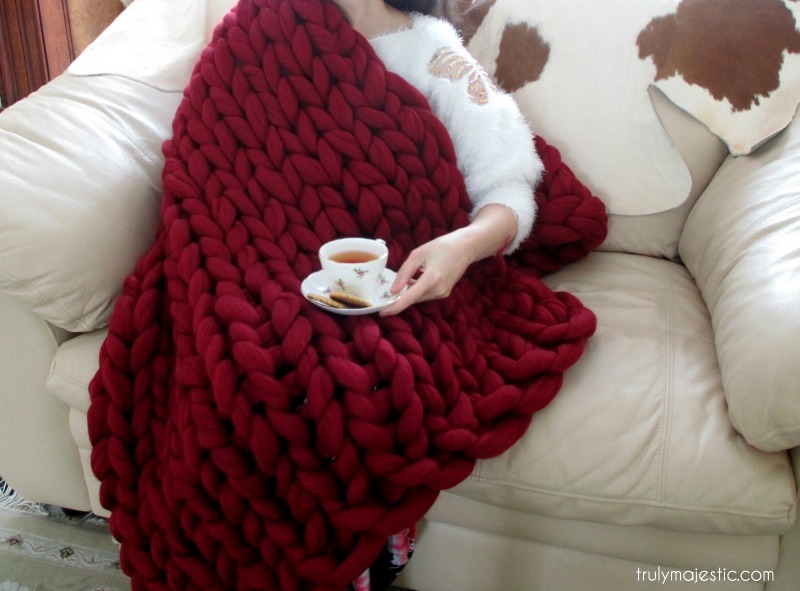 Who is loving all of those giant, cozy blankets seen everywhere lately? I just want to snuggle underneath one and read a book! Well today we have Stacy Tavassoli from Truly Majestic here today showing us how to arm knit a blanket with her fabulous step-by-step video tutorials! Let’s begin learning How to Lightly Felt Wool Roving for Arm Knitting Yarn. It’s easier than you might think! and a shop to purchase kits and supplies! Thank you Stacy for sharing your creativity with us! Stacy also has a great giveaway on Truly Majestic that you won’t want to miss! 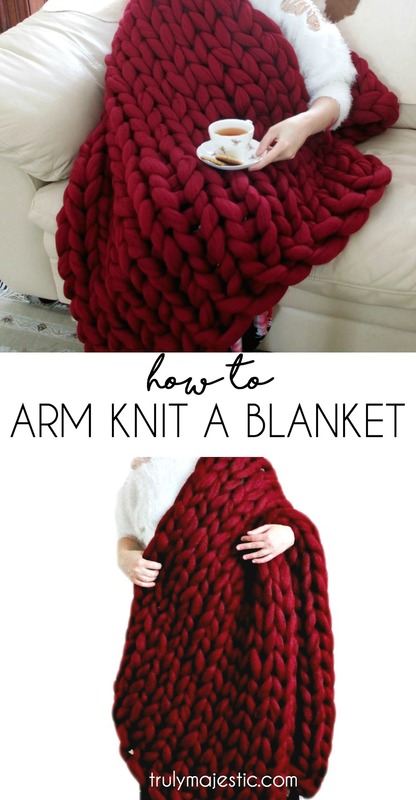 Thank you for your Arm knitting tutorial. I’ve looked at MANY and have to say yours was the best & easiest to follow. 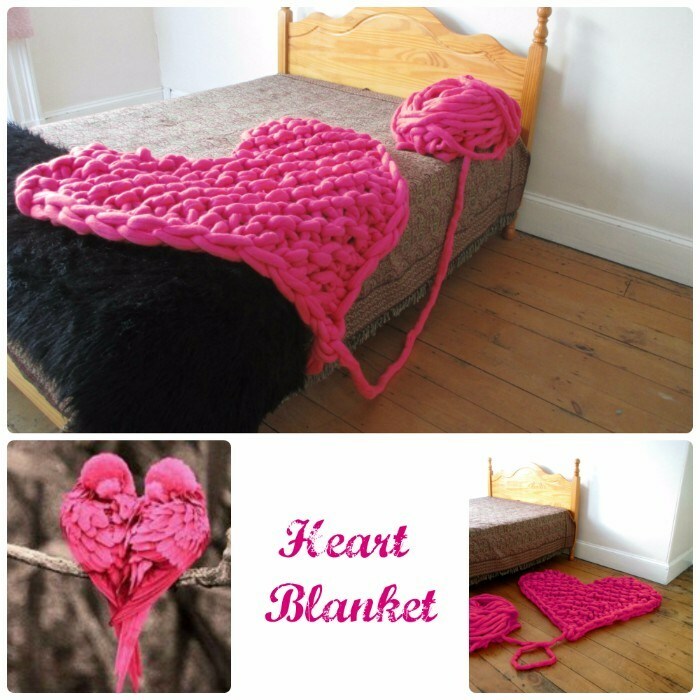 I really want to try this..How many skeins would it take to make a king sized blanket?